The curtain has come down on the Topex/Poseidon satellite altimetry mission. After nearly 13 years in orbit studying ocean phenomena, the joint French-U.S. satellite has now handed over to its successor Jason-1. During its career, Topex/Poseidon acquired a huge volume of data and achieved a giant leap forward in satellite altimetry. Launched by CNES and Nasa in 1992, Topex/Poseidon was designed to fly up to 5 years. But, thanks to a dedicated operations team and with the satellite still operational and delivering high-quality data at the end of its nominal service life, the mission was extended several times. Last October, the spacecraft lost its ability to manoeuvre, leaving it helpless to acquire science data. CNES and Nasa mission managers therefore declared an end to the mission. So it was that, after 13 years in operation and over 60,000 orbits around Earth, Topex/Poseidon finally bowed out. Topex/Poseidon resulted from the combination of Nasa’s Topex programme and CNES’s similar Poseidon mission into a single mission. Today, this collaboration is continuing through the Jason-1 satellite, with which Topex/Poseidon flew in tandem for 4 years. Topex/Poseidon marked a key turning point in the study of ocean movements, accumulating a wealth of long-term data that have made a huge contribution to the development of satellite altimetry. 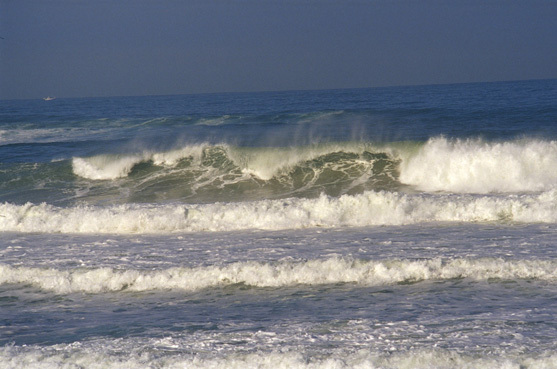 These data have helped scientists to study sea level, tides and ocean current variations. 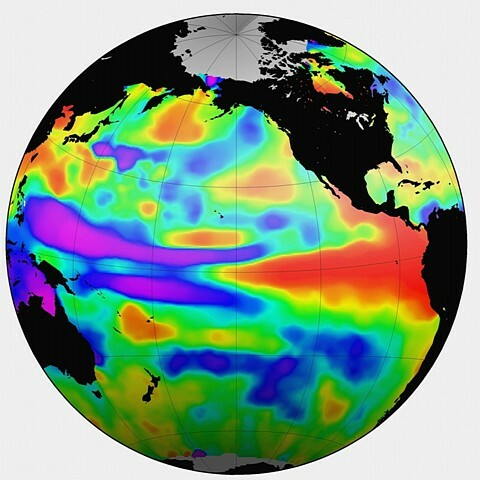 In 1997-1998, for example, Topex/Poseidon provided the 1st-ever opportunity to track the El Niño/La Niña climate event close up, detecting the 1st signs of its onset—the propagation of a bulge of warm water 20 to 30 cm higher than the rest of the ocean surface—very early on. Topex/Poseidon also helped to better understand the role of oceans in the climate system and was a precious aid in efforts to develop ocean models. “With the exceptionally long time-series of data returned by Topex/Poseidon, we have made a giant step forward in improving our understanding and forecasting of changes in ocean dynamics and their impact on the Earth’s environment,” said Dr Yves Ménard, Project Scientist at CNES. While Topex/Poseidon’s mission may have drawn to a close, its legacy lives on. It was a precursor in satellite altimetry, paving the way for future operational oceanography satellites in the shape of Jason-1 and soon Jason-2, to be launched in 2008.